Our assignment for Day 4 is: “Vision and Blur”. Today our assignment was to have a photo with a wide open aperture, and a nice blur in the background. My regular lens doesn’t do that as well as my macro, of course. The photo I took today was with my regular lens. I softened the light from the window in the background with a light diffusing curtain. The locket belonged to my grandmother who was born in the late 1800’s. 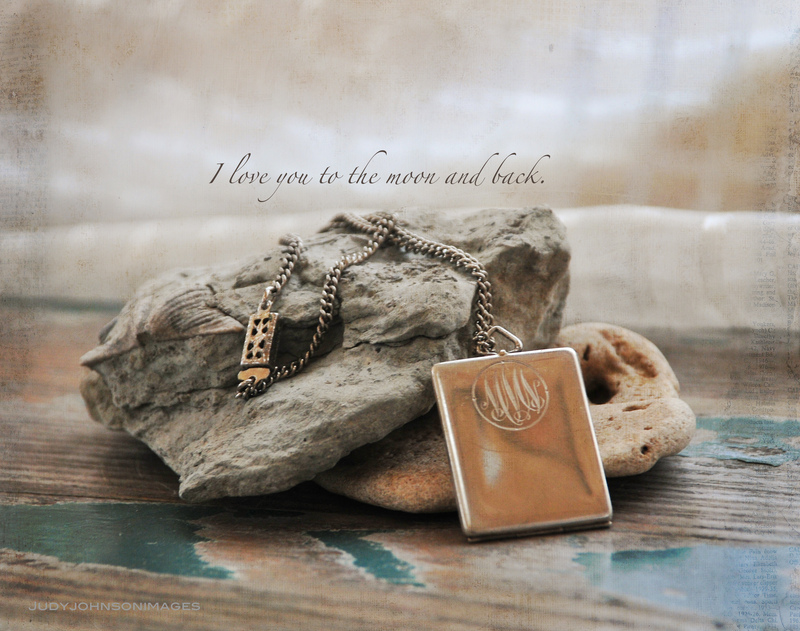 I thought the quote was perfect for a locket. In PhotoShop Elements I added an overall texture to the photo at 51% opacity. I also used a brush to add a bit of extra color around the edges and cut the shine of the chippy paint on the table top. Thanks for stopping by! I appreciate all the visitors!! PLEASE DO NOT REBLOG or COPY. LINKS are fine. Thank you.